The above image illustrates the Sony A99 AF system: 102 sensors, 39 "classical" (of which 11 cross sensors), 63 on the sensor. See this post for a complete list of a99 specifications. The camera will be announced on September 12, 2012 together with several new accessories. 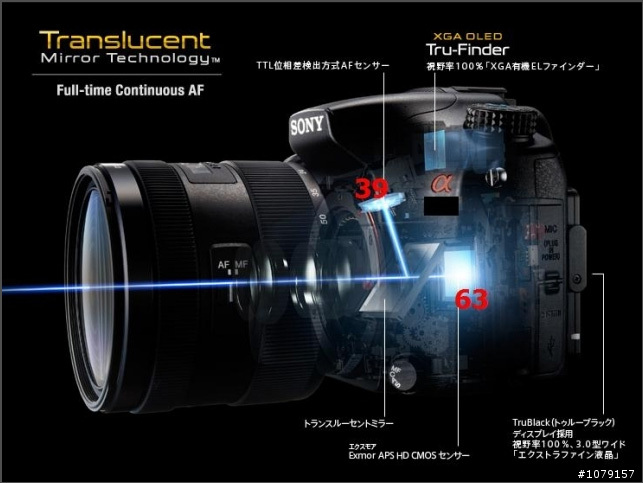 You want faster autofocus with the Fuji X-Pro 1? Buy their new lenses!